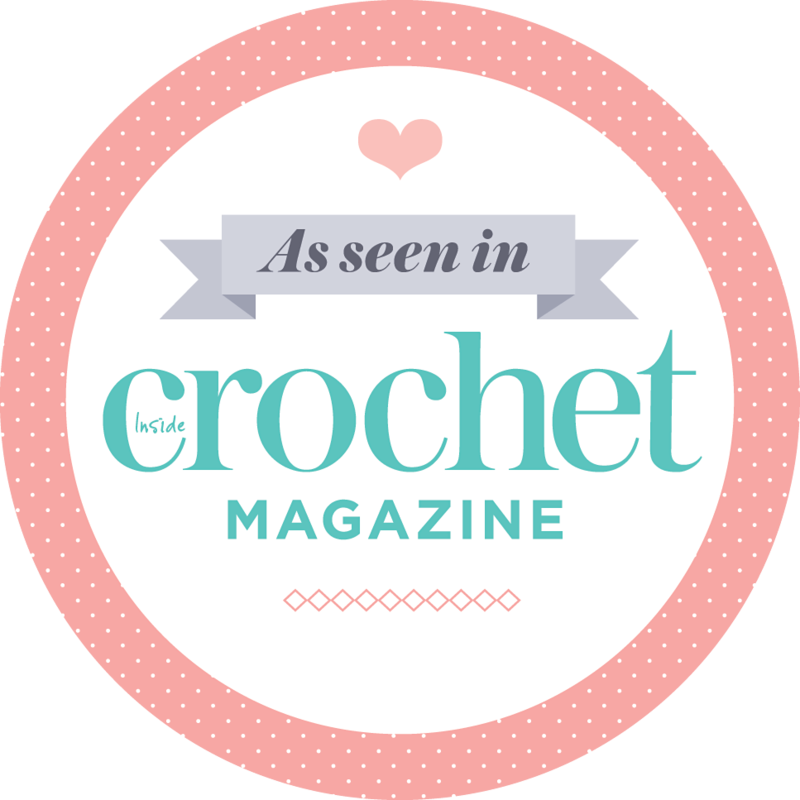 I asked the lovely (and now famous – check out her pretty flower brooch pattern in the Spring supplement of Simply Crochet Issue 16!) Rachel to knit a little something with Vinni’s Colours Nikkim and tell us about her experience. I really, really, really like her knitted washcloths! So much that I think I may just knit up a couple of yarn swatches for each of the yarn shades. Yes. I said it. Knit. And yes, I do own a pair of knitting needles and I can knit. Now you know my Deep Dark Secret. 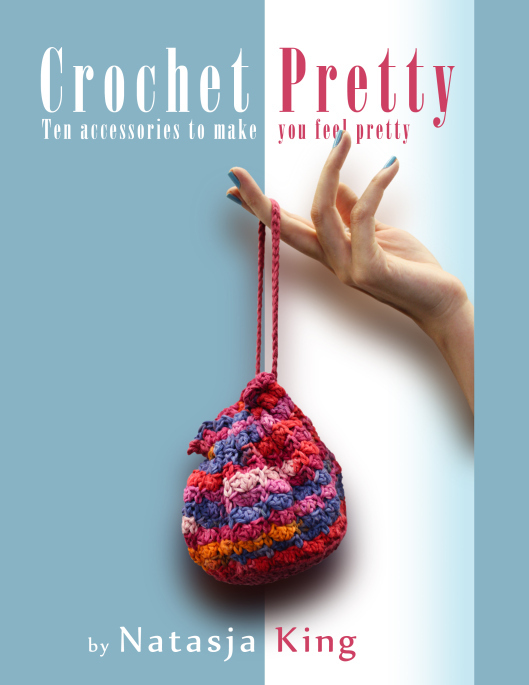 Thanks again Rachel for your great review and giving us your honest opinion and congratulations again on the great achievement of being a Published Crochet Pattern Writer. Yes, that’s right, I sell yarn! I’m so excited! My Etsy shop is stocked with Vinni’s Colours Nikkim 100 % cotton DK yarn in white, and four shades of purple. Go on, go have a look. Here is the link that will take you straight to the yarn section of my Etsy shop. As you’ve probably guessed, my decision to stock white and purple shades is not by accident – these are the colours of the squares for the Crochet for Kidney Research UK blankets we’re making. Now you don’t have to wonder what yarn weight, fibre or shade of purple is best for the squares because I’m supplying you with the perfect yarn. Better still, 25p from each ball of purple and white yarn that I sell, will go straight to Kidney Research UK! Now you’re probably wondering about the yarn. If you don’t live in South Africa there’s a fair chance Vinni’s Colours will be unknown to you. In South Africa however, I dare say it’s the best known and most commonly used yarn around. “Vinni’s” is derived from the owner, Vinni Nielsen’s name. “Nikkim” is made up of the names of Vinni’s children Nikolai and Kim. You’ve already seen Nikkim in action on this blog – it’s the yarn I’ve been using for my Sunset Shades chevron scarf. 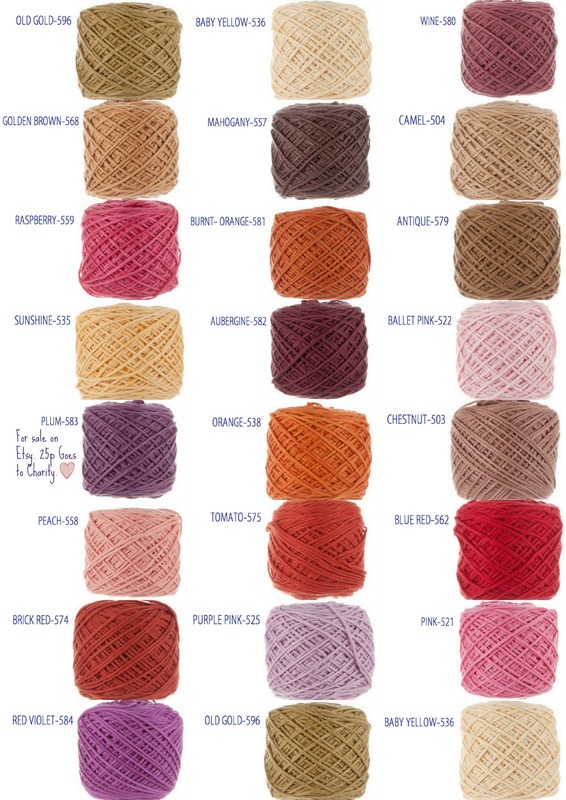 I’ve had so many questions about the yarn and comments about the amazing shades, that I just knew I had to start selling it to my wonderful blog readers. There are two things that made me fall in love with this yarn. Firstly, the colour. All Vinni’s Colours yarn are hand dyed. Yes, dyed by hand. This means that you get an almost marbled, tonal variation in the colour. I’m going try to explain it to you in hair dye terms. Back in the 80’s all home hair dyes gave you flat, solid coloured hair. Nowadays you can’t even tell who had their hair dyed in a fancy shmanshy salon and who bought a home hair dye because the new stuff “works with your natural tones and highlights.” Vinni’s Colours is like the new stuff – interesting, varied and without a mass-produced look to it. Any other cotton yarn looks like a 80’s home hair dye job. Not only is the yarn hand dyed, it’s also skeined and balled by hand and sun dried in the African sunshine on the factory forecourt. I’m positive that it’s that loving human touch and African sunshine that adds a little something extra to the colours. 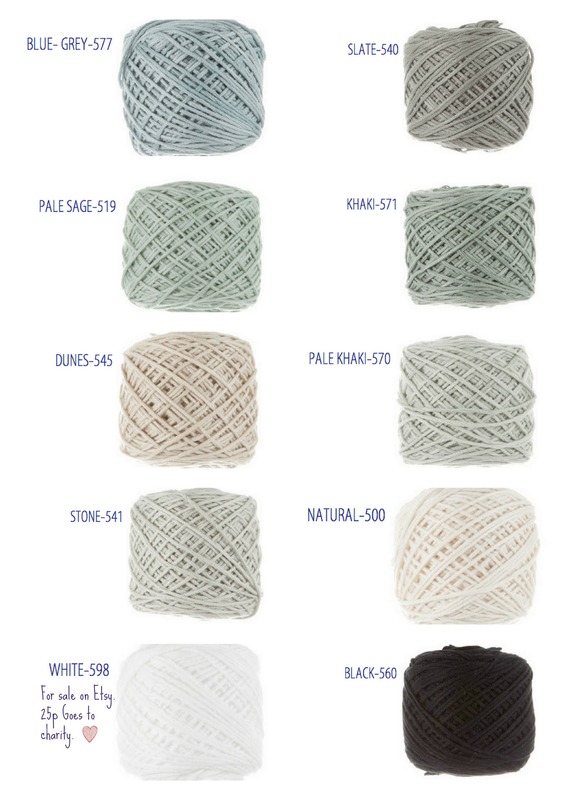 Nikkim is available in 64 solid colour shades and eight variegated, but I’m only stocking five (for now). Secondly, the feel and drape. It’s soft. Really soft. The yarn gives a beautiful drape. I won’t use it to make crocheted baskets that needs to be sturdy and hold it’s shape, but for baby wear, cardigans, scarfs and blankets it’s perfect. My Sunset Shades chevron scarf is done in SC and HDC stitches which would normally make for a very dense fabric, yet the scarf still drapes and feels soft – I would not have achieved this if I used, for instance, Rowan Handknit Cotton despite both being DK weights. You really have to feel this cotton yarn to believe how soft it is. Even if you don’t want to use Vinni’s Colours Nikkim to make squares for the Crochet for Kidney Research UK blankets, 25p of each ball of purple and white sold will still go to Kidney Research UK, so you’re supporting a very worthwhile charity just by buying this cotton yarn. Vinni’s Colours also provide a much needed income to the South Africans who are employed to hand dye, skein and ball the yarn. It’s win-win! Feeding your yarn addiction has never felt this good. 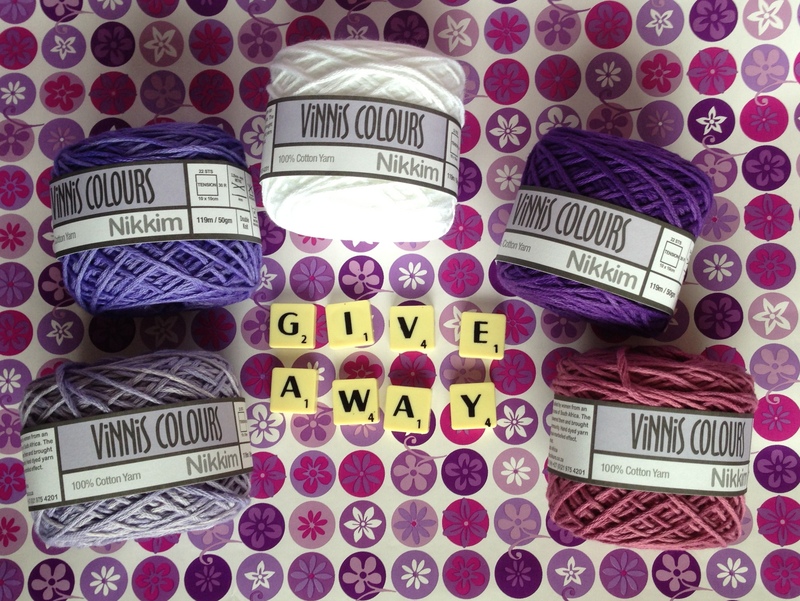 Speaking of win-win…… I’m giving away one ball of each of white, dark purple, lilac, violet and plum to one lucky reader! All you have to do is have a look at the photos below and select four shades that you would want to use for your next project and tell me what that project would be. I had to break up the huge selection of Nikkim (64 shades!) into four colour groups because they wouldn’t all fit into one photo, so don’t think you have to choose a colour from each photo. The winner will be chosen randomly on Sunday 29 September at 16:00 GMT. I absolutely love all these amazing shades. Good luck choosing only four! Lime, Avocado and Deep Blue are my favourites. And Peacock and Pale Sage. And Mint and Kingfisher. Geez, I can’t choose! If you have the same problem, feel free to choose more than four shades for the giveaway. I’m really looking forward to sending out packets of purple and white yarn to my lovely readers, and giving 25p for each ball sold to Kidney Research UK. It really is win-win for me, you and Kidney Research UK.